Don’t Want to Work For the Rest of Your Life? Start Doing This. I’m new to all of this. What’s the best way to start trading? I don’t have much money, but I want to be smart with what I have. I’m trying to invest so that I have enough to eventually retire and travel. I don’t want to work until I’m dead. Thanks for taking the time to write in to us. I’m glad you found the site. Sounds like you’re excited to get started. It’s great that you are asking for advice like this instead of just jumping in. Too many people want to run before they can crawl. That’s a good way to fall flat on your face. We all work hard for our money. 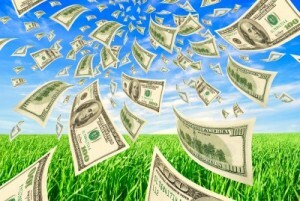 The last thing anyone wants to do is lose it because they’re not approaching money management intelligently. Unfortunately, our school system fails us in terms of teaching us basic personal finance skills. As such, plenty of Americans are unsurprisingly broke. But fear not. That’s why we’re here. It’s our aim to provide free, actionable, quality content that anyone can use to put themselves in a much better financial position. First, I want to note something. You first mentioned “trading”. Then you noted that you want to “invest”. These are not one and the same. 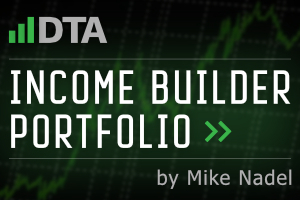 Trading is buying assets with the intention of holding them for a short time before selling. It’s the short game. 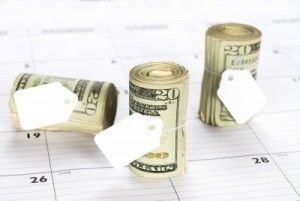 Traders sometimes hold assets for less than a day. 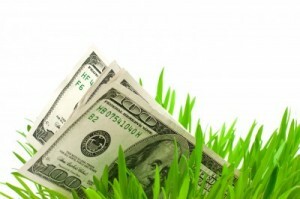 Investing is buying assets with the intention of holding them for a long time and perhaps never selling. It’s the long game. Investors sometimes hold assets forever. I’m in the camp of the latter. I can name you numerous billionaire investors. 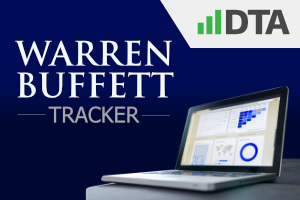 Warren Buffett, whose portfolio we track here, is obviously the best example. Buffett is worth over $80 billion, even though he’s already given billions to charity. However, I can’t name you even one billionaire trader. That’s because it’s almost impossible to time the market successfully over a long period of time. The stock market is rigged in the favor of long-term investors. There’s absolutely no point in trying to dance in and out of this game. The Dow Jones Industrial Average was at 248 points in 1930. It’s now at 25,500 points! We’re talking over 100 times higher in less than 100 years. And that’s before factoring in all of the dividends one would have collected by owning a collection of some of the best businesses in the world. That kind of wealth-building train is something you jump on as soon as possible… and then never jump off of. I jumped on this train back in 2010. Yet this train took me from below broke at 27 years old to financially free at 33. I lay out how this train took me “Brokeville” to “Richtown” in my Early Retirement Blueprint – a step-by-step guide almost anyone can follow to greater wealth, more passive income, and even an early retirement. A major aspect of my train ride has been my dedication to the long-term investment strategy of dividend growth investing. This strategy involves buying equity in high-quality businesses that regularly and reliably grow their profit and pay their shareholders regularly and reliably growing cash dividend payments. You can find more than 800 US-listed dividend growth stocks by perusing the Dividend Champions, Contenders, and Challengers list. I buy high-quality stocks at appealing valuations. I hold them basically forever. 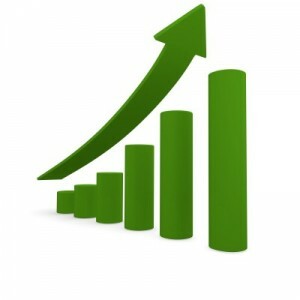 Then I’m free to collect that growing dividend income, which I can use to buy more stock or pay my bills. What does that result in? 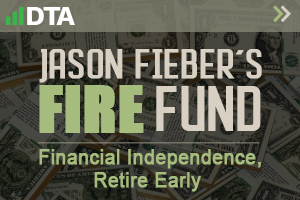 It results in my FIRE Fund, which is my real-money early retirement dividend growth stock portfolio. The Fund generates the five-figure and growing passive dividend income I need to pay for my essential expenses. Sure, you could try jumping on and off the train at the right moments. But you’d risk getting run over. Instead, I think it’s far more intelligent to jump on, attach yourself to wonderful businesses, and play the long game. Fellow contributor Dave Van Knapp put together an awesome resource that can help get you started. 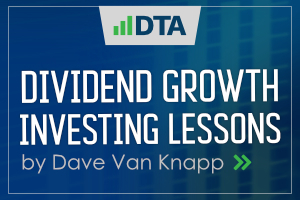 His Dividend Growth Investing Lessons teach the strategy from start to finish. This series is the A-Z of DGI. Once you’re comfortable with the idea of putting your capital to work, I personally provide a compelling long-term investment idea every Sunday. What I do is, I vet high-quality dividend growth stocks (from the CCC list) for quality fundamentals, dividend growth prospects, and valuation – even incorporating valuation opinions from professional equity analysts. 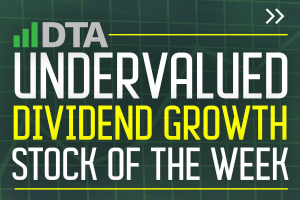 These ideas are shared for free via the Undervalued Dividend Growth Stock of the Week series. 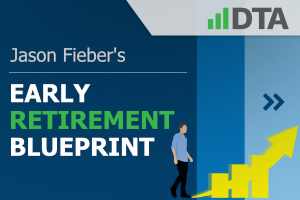 The above resources can help you intelligently invest for the long run. However, it’s ultimately up to you, Sam, to get started. This train is running as strong and fast as ever. 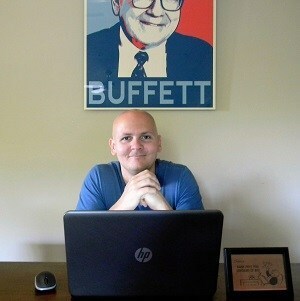 Hitch a ride, attach yourself to wonderful businesses, and watch the wealth and passive income pile up.